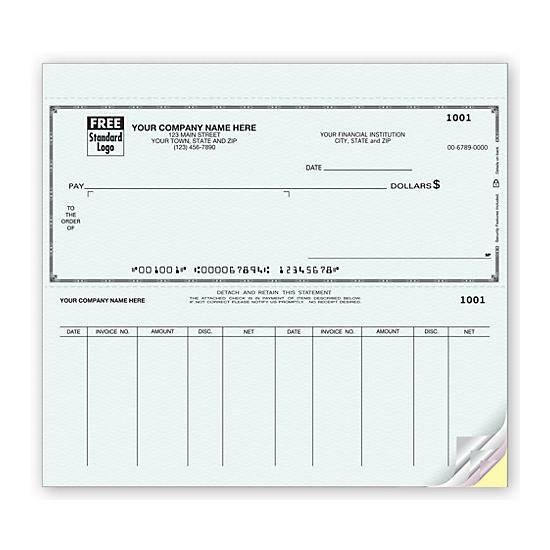 Item#: 53225N Size: 12 15/16 x 9"
Our affordable 3-on-a-page business checks let you choose the best voucher style for your needs! 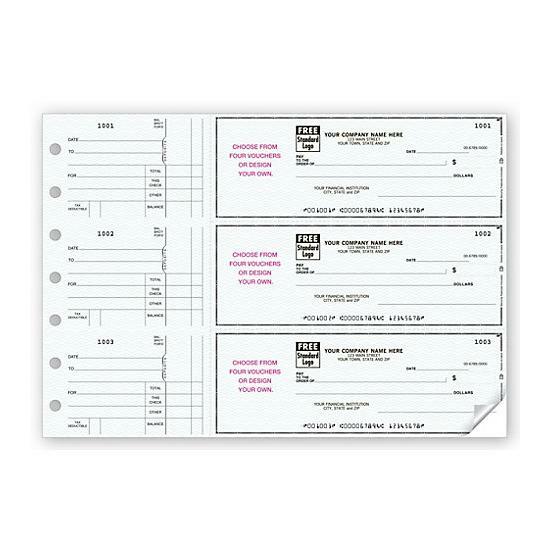 These empty voucher checks let you track payment details & descriptions your way, in 1 convenient place. 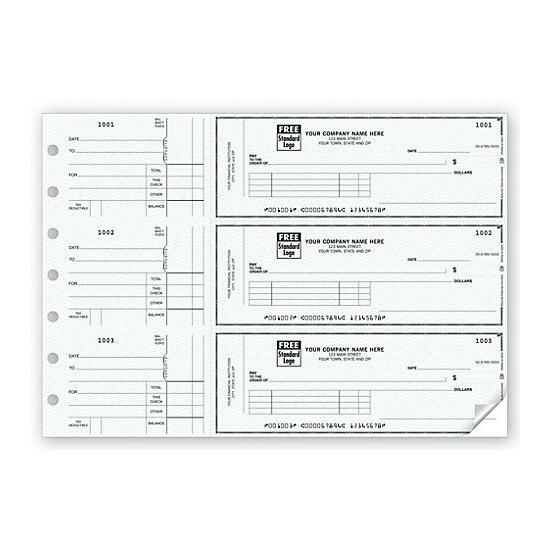 2 x 2 3/4" voucher size: The largest available in a standard check. Choice of: 3 standard voucher options. 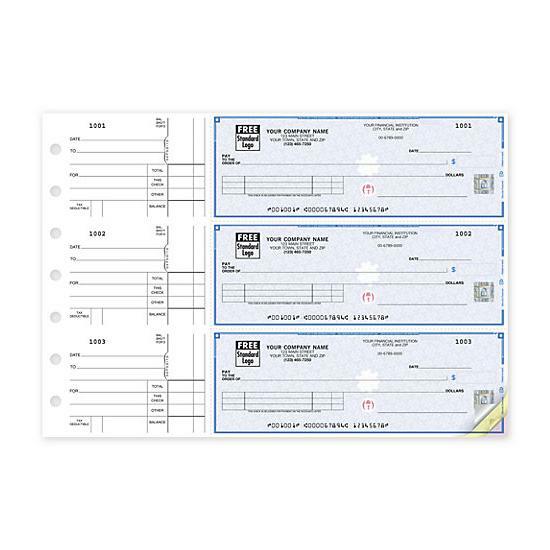 Businss checks with built-in security: Trusted by 7,000 financial institutions nationwide, features include chemically sensitive paper, microprint border, invisible fluorescent fibers, erasure protection, security screen & warning box.